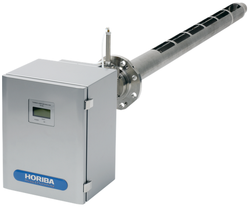 Being a well-established organization, we are engaged in offering a distinguished range of Cross Stack Laser Gas Analyzers. In order to meet excellent quality standards, we are supplying Laser Gas Analyzer. We are renowned manufacture and supplier of Laser Gas Analyzer. They are using quality materials, widely applicable in combustion processes. They are highly usable in fuel plants. They have a LCD display and temperature indication. Vasthi Instruments UV DOAS Gas Analyzer for Sox, Nox and other emission monitoring as per CPCB Guidelines. The module uses the long optical path UV DOAS technology. Its optical technology platform consists of light source, gas chamber, optical and spectroscopic (including diaphragm, holographic grating, linear array detector) and other optical components. Our reputed entity is engaged in supplying Laser Gas Analyzer.